Next week we’ll be beginning Lent, which looks forward to the Passover/Resurrection Day. Passover, of course, is the celebration of God’s redemption of Israel from slavery in Egypt. I think I’ve found the perfect activity for the season–making mudbricks like the ancient Israelites did in Egypt! Today Biblical Archaeology Review gave instructions on how to make mudbricks just like they did in ancient times. (Archaeologists actually do this in order to reconstruct ruins.) They point out that anybody can do it, actually. 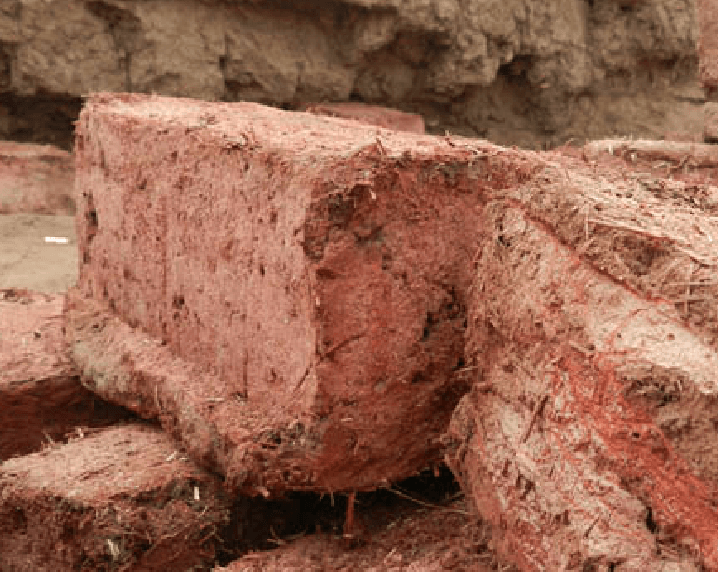 Anyone can make a mudbrick! The recipe is simple—and the ingredients common: As long as you have access to mud, water and straw (or another type of organic material), you, too, can mimic the manufacturing process used by ancient Egyptians—and Israelite slaves—to make mudbricks. 1. Mix topsoil and water to create a thick mud. 2. Add straw. While the composition of the mud will affect the exact proportions, as a general rule, add a half pound of straw for every cubic foot of mud mixture. If you have access to grain chaff (a byproduct of threshing), you can use that as temper. If not, chop straw into very small pieces—called straw chaff—and use that. 3. Knead the mud mixture with your bare feet for four days. 4. Once it has fermented (after four days of kneading), leave the mixture alone for a few days. 5. Knead the mixture again on the day you plan to form your mudbricks. 6. Pour the mud mixture into molds (the shape of your choosing) and let them solidify in the molds for at least 20 minutes. 7. Remove from molds and deposit on a drying floor layered with sand and straw to prevent the bricks from sticking to the floor itself. 8. Let the bricks dry for a week. After the bricks have dried, they are ready to be used—whether to build something new or to reconstruct ancient walls! Doesn’t this sound like a fun family activity? (OK, maybe not the four days of kneading with your bare feet.) But if you’re looking for experiential learning opportunities for your kids, you can let them imagine what it was like to be a slave in Egypt. If you’re ambitious, you can build yourself your own backyard pyramid. Or maybe a ziggurat. Wouldn’t that be neat?